The history of Ascension Lutheran Congregation is interesting and varied. At different times, the ministry that ultimately became Ascension was known as the North Side Sunday School Union, the North Side Community Church, the North Side Lutheran Church, and Westwood Lutheran Church. Ascension’s earliest roots was a Sunday School organization of the American Sunday School Union. It was organized by a Reverend Staph in 1920. Occasional worship services were also held with student pastors furnished by the American Sunday School Union. The Reverends Harvey Hill and Ferris were available for special services, such as baptisms, weddings, and funerals. In 1926 the North Side Union Ladies Aid was formally organized and it was they who voted to hold worship services following Sunday School at the old Eliot School. The ladies worked diligently to raise funds, including hosting suppers, socials, teas, luncheons, and banquets. The ladies sold a variety of things including Jello, pudding, magazines, rummage, quilts, baked & paper goods. Their fund raising activities also included a state fair stand and a quilt raffle. This Sunday school and worship ministry would not die as long as the North Side Union Ladies Aid was alive. Other pastors to serve North Side Community Church were Rev. R.W. Owens, who served from November 1939 until June 1940, Rev. Milton C. Wolters (a Baptist pastor, who served from until February 1943, and Rev. A.T. Nelson, who served just a few months in 1943 until poor health prevented him from continuing. At that point, a survey of the congregation and community was taken to determine the denominational preference of the area. The Lutheran denomination “won” the survey with a whopping 36, and 118 prospective families for membership. Pastor A.C. Lehman was installed as the first Lutheran pastor in July of 1944. Upon completion of a course of instruction for current members of North Side Community Church and for a number of new members, North Side Community Church became North Side Lutheran Church on July 16, 1944. The church grew and by the end of 1946 the Sunday School registration included more than 150 children! This number severely taxed the available facilities, and plans were made for a new building. 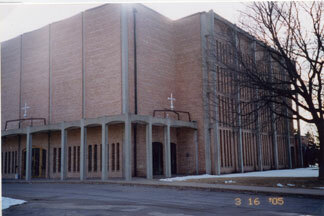 In March 1947 North Side Lutheran Church changed its name to Westwood Lutheran Church. The new name was followed quickly by a new building at 6719 Cedar Lake Road. 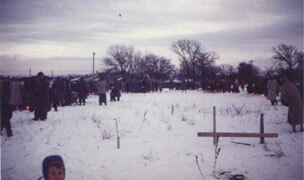 Ground breaking ceremonies were held following worship on October 5, 1947. By December 21, 1947, the building was complete enough to hold its first worship service. The children’s Christmas program was held that same evening. A festive dedication service was held on Palm Sunday, March 21, 1948. There were now 250 members, and 159 in Sunday School. From 1948 to 1958, Norman L. Nielsen served as Senior Pastor. During his 10 year ministry, the church grew from 200 to nearly 4,000 members, becoming the largest Protestant congregation in suburban Minneapolis. In recognition of his leadership in church and community affairs, Time Magazine selected him, in 1953, as one of the “100 Outstanding Young Men” of his city. In 1958 he became Vice President of Augsburg College in charge of Development. Westwood Lutheran Church continued to grow, and soon outgrew its facility. In 1955 Westwood built a new building further west at 9001 Cedar Lake Road, and the building at 6719 Cedar Lake Road went silent. To prevent members from leaving Westwood, the building at 6719 Cedar Lake Road was not allowed to be reopened for a full year. But a congregation to serve this neighborhood would not be denied. And on September 1, 1956, the building reopened as Ascension Lutheran Church under the auspices of the Home Mission Board of the Evangelical Lutheran Church. The Reverend Orin D. Thompson was the mission pastor. The church got new seat cushions from the Old Log Theater. 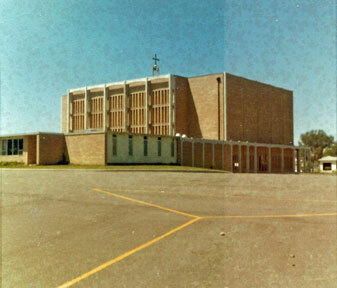 Ascension’s first worship service was held on October 7, 1956 and the first Sunday School was held on October 14. 1956. The official organization was January 4, 1957 with 200 charter members, 105 confirmed and 95 baptized. Former pastors of Ascension include: Pastor Orin D. Thompson (1957-1960), Pastor Everett Tande (1961-1973), Pastor C. David Satre (1974-1980), Pastor James Pollard (1981-1984), Pastor Keith Rediske (1984-1989), Pastor Dennis Speetzen (1990-1995). Pastor Wesley Syverson began service in August, 1996. In 2009 Ascension Lutheran Church merged with First Lutheran Church to form the new Spirit of Christ Community Lutheran Church. 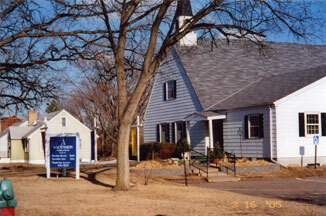 The new church is located at the First Lutheran site, 5801 Minnetonka Blvd. From July 2009 to December 2012 the building at 6719 Cedar Lake Road was the home of Emmaus Road Church.